How Are Mid Cap Funds Important for the Growth of Your Portfolio? The mutual fund is a very wide market. With more than 5, 000 different schemes subscribed by 18 million different people, it is also one of the most dynamic places to park your funds. Out of the several types of funds available for investment, Mid Cap Funds enjoy a dominating position in the market. While there are many factors attached to this reality, the most prominent one is their better service record than the bigger counterparts, viz. the large-cap funds. MySIPonline, a renowned name in the mutual fund market, is every newbie’s junction to board the train to a successful investment. Our online and offline financial assistance has helped thousands of aspirers, who dream of achieving their objectives through mutual fund investing and enjoy a bright future. We have a dedicated team of counselors who provide unbiased suggestions and tips on how to proceed with a plan so that the person can make better judgments for himself and create an investment plan assorted with opportunities. Given below is a detailed account on Mid Cap Mutual Funds in India, which discusses the basic meaning of these funds, besides discussing their past performance and the amount of risk involved. 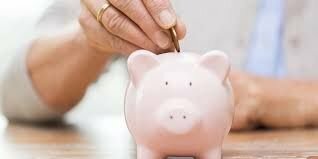 This will help the readers to find out if Mid-Caps are a suitable option for them and whether they should add these funds to their investment plan. 1. What are Mid Cap Funds? There are two types of division in mutual funds – inter and intra divisions. While the former means divisions of funds by asset classes, the latter means the further sub-divisions of these asset classes. Mid-Cap Funds are intradivision of the equity branch of mutual funds, where the assets are mainly used to buy the stocks of mid-cap companies. By definition, mid-cap companies are those that have a market capitalization of more than Rs. 500 crore but not exceeding Rs. 10, 000 crore. Furthermore, these are such companies that have passed their preliminary stages of formation and are now accelerating towards high growth and expansion. As a result, they provide a very lucrative venture for the investors and bestow them with quicker, higher returns than large-cap funds. The past performance is a deciding factor for the inclusion or exclusion of a fund from the investment plan. It also provides us with the necessary information about the fund’s likely performance in the future. Speaking about Midcaps, they had a glorious past as far as the returns are concerned. Some of the best Mid-Cap Mutual Funds in India were able to pull off returns worth 31.21% from the market. In 2017 alone, this category shook the market by yielding a whopping 45.60% returns. This shows that these funds have a great potential to earn returns, provided they get a positive market to unleash their full power. 3. How Risky is to Invest in them? As discussed earlier, Mid Cap Funds invest in those companies that are yet to attain maturity and are under the process of becoming big. Though it means that these companies have an outstanding potential to earn high returns, they are exposed to high amounts of risks. When the markets are running positive, these funds can draw unimaginable returns. However, in case of a downfall, they may take a dip, and the returns might be hurt. 4. Who Should Invest in Mid Cap Funds? If you can withstand high risks in comparison to large caps, desire high returns, and are looking forward to staying invested at least for three years, then you should put a bet on Midcaps. The rising demands of new products have led to the dissection of the mutual fund industry into several categories of funds out of which, Mid Cap Mutual Funds are widely known to be amongst the best return payers. 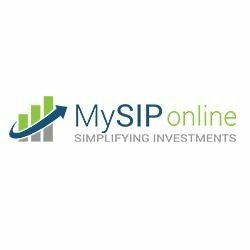 MySIPonline provides top-class online investment facilities to ensure that you get the best investing experience, and always stay in the course of building great wealth.